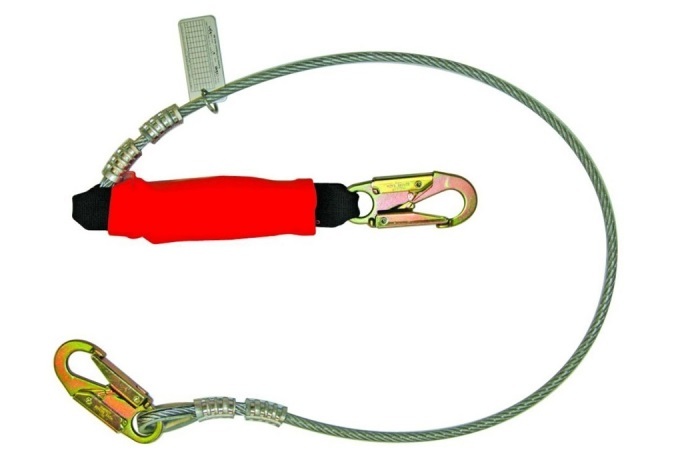 Comprised of an ultra-durable, vinyl coated cable, the Cable Lanyard is perfect for use in welding applications and other harsh environments. It can be used over sharp or abrasive edges and surfaces, is available in both single and double leg models, and comes with an integrated shock absorbing component. It also offers the added feature of a removable, flame resistant cover over the shock absorber for additional protection against sparks and heat.